purchased 4 years ago. Started making upgrades but now must sell. Two original generators, one discarded one rebuilt. Tires new when we acquired. Still plenty to do but good head start. Easily $20,000 in looking for best offer. A personal phone number is BEST for contact information. Welcome to our community and thank you for offering your Barth to our members. 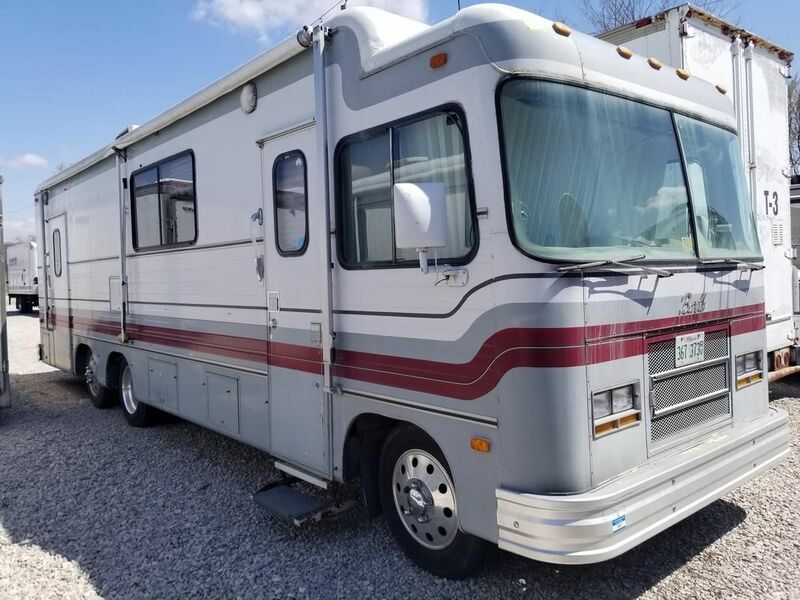 Although this phone number was found in connection with your email, your personal phone number remains the best way to sell your motor home. 800-525-8089. No one likes toll free numbers. Again I suggest your phone number be posted here if you are serious about selling this Barth. The number you have as the serial number is the actual data tag number. I am not sure what the other number is. Someone here should know what R0556972 means. Thanks for the contact numbers and a prompt reply. Folder request is on order for some pictures. An interesting Barth indeed. The front and rear door setup, two generators, and the hump in the roof indicate this was some type of specialty coach, not necessarily a Regal? I wonder what the inside is like. We are moored in Dupo area in IL. A 32 foot Barth with tag axle? In the subject line put the number 3158. You can then link from Photobucket. If you need assistance please send me a Private Message. Thank you again for posting your Barth for sale here for our members. I believe the shortest tag Barths are 30 ft, Bill H had one. Not sure where it is now. It also had an "S" floorplan designation. *Notice: By placing a listing at Barthmobile.com you assume all risks related to selling your coach. If you do not agree with this statement, please remove the ad.